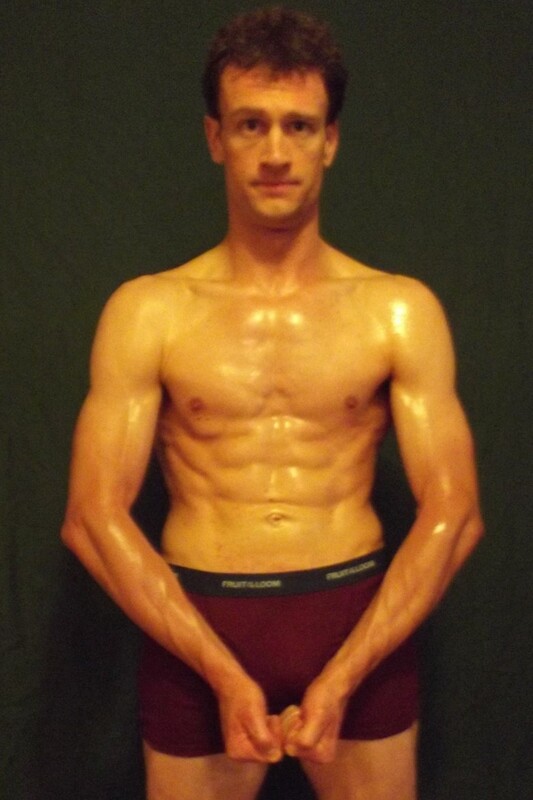 Today we get to learn from Timothy Olson, who placed 4th in our last 12-Week Transformation contest. Timothy states in his essay that growing up, he always considered himself to be “skinny-fat.” He had never seriously weight trained or followed any nutritional regimen. However, it wasn’t until he ballooned up to 210 pounds, the heaviest he had ever been that he decided to make some serious lifestyle changes. 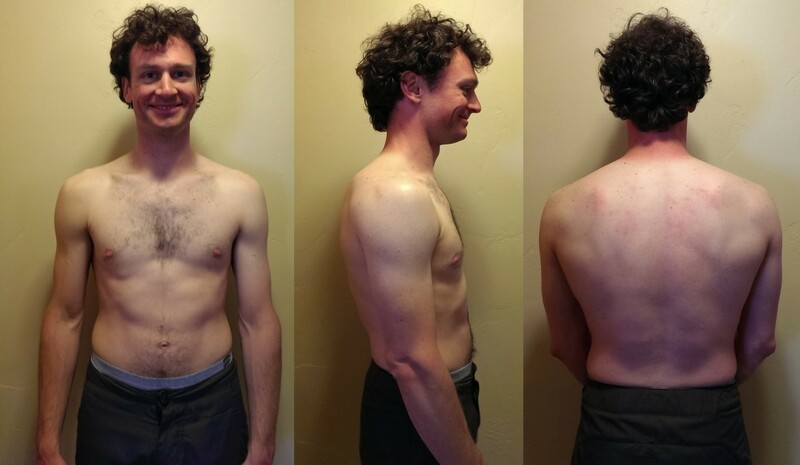 Scroll down to read more of Timothy’s transformation journey in his own words. For the majority of my life, I was what some would consider skinny-fat; about 3 years ago I hit my heaviest weight at about 210 pounds. I had never worked out previously, with the exception of weight training in high school gym class. Although I have always been fairly active by means of biking, hiking, skiing etc. It wasn’t until February 2013 when I found the Adonis Golden Ratio (AGR) and began my first true resistance training protocol. I began working out 4 – 5 days a week, starting with Category 3-AGR and the Adonis Index Specializations. Almost immediately, I started seeing changes that I had never experienced before, I was absolutely amazed! By the time I finished Category-3 AGR, the Adonis calculator told me that I had reached the dimensions to use Category-1 AGR; so after a one week rest period (which happened to coincide with the start of contest AT11), I dove head-first into Category-1 AGR. After following Category-1 AGR for a month, I decided to try “LEGO-blocking” Category-1 AGR, Category-2 AGR, and Category-3 AGR in weekly intervals. This was the best decision I had made since starting resistance training. It was exciting and kept things new and different, my results began accelerating even more. Regarding food and diet, since the beginning of my Adonis Lifestyle adventure, I starting eating healthier… considering macro & micro nutrients but never actually counting calories. I feel that it was an equal combination of eating right and progressive resistance training that resulted in having visible abs for the first time ever! I have been an avid outdoors man since I was quite young, and this has seriously increased my abilities in those areas. Finding the Adonis Golden Ratio has changed my life in an amazing way; I can now say with no hesitation that I will workout and eat proper for the remainder of my life! Your approach of “LEGO-blocking” the three different Categories of AGR is very interesting; it’s almost like you did a “Giant Cycle.” We’ll take that concept into consideration for future workout routines.